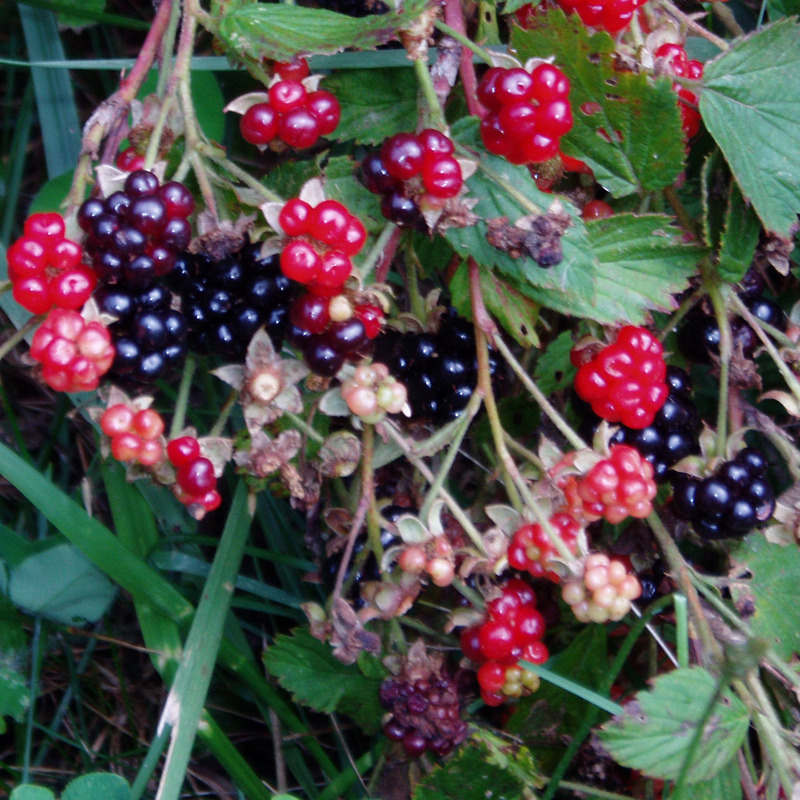 Description: This group includes the familiar Blackberry and Raspberry (along with other species). These plants are arching or non-climbing vines known as canes. The stems have a variable number of thorns and/or bristles. Leaves with 3-7 leaflets. Five petaled flowers leading to juicy red to black compund berries. Edibility: In addition to the berries, which are delicious of course, the leaves can be used for tea. In fact, many commercial herbal teas use raspberry leaves as a base. Tender blackberry shoots can be eaten fresh. Habitat: These plants grow on field edges, usually forming a natural barrier. Medicinal: A strong, concentrated tea has important medicinal qualities. Utilitarian Uses: Straight sections of the cane can be used as hand drills for fire making. The berries can be used as bait.